Bromelain is a collection of protein-digesting proteolytic enzymes thats found in pineapple stems and pineapple juice. Supplementation supports the body in food digestion and musculoskeletal comfort. Fitness athletes and gym goers say that bromelain helps to reduce muscle soreness, muscle pain, sprain pain, and muscle strain pain. 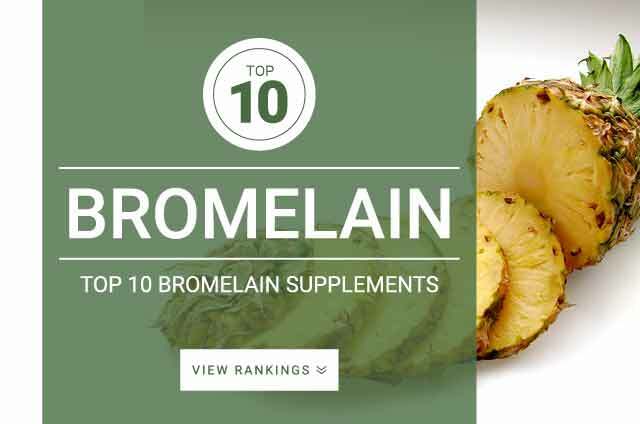 Bromelain is a protein digestive agent that helps the body digest trapped blood byproducts improving healing and reducing pain. You will find the most bromelain in the stems of pineapples. Since the stems of pineapples are not always the most appetizing part of the pineapple, supplementation is often the best choice. Bromelain is one of the most common herbal supplements sold in Germany. Standard dosage of bromelain is 200 mg – 2,000 mg per day usually containing 500 GDU – 2,000 GDU.